We've all experienced it. One minute you're surfing along quite happily, an MP3 playing in the background, and then suddenly – bang! Disaster strikes. Maybe your hard disk has failed; perhaps a virus has found its way round your defences and brought Windows to its knees; or it could be that your PSU has given up the ghost. Whatever the reason, the net result is the same – suddenly you're staring straight at the long and painful process of reinstalling Windows and attempting to rescue some of your precious data. But there's no need to live in fear any longer. As we reveal, many common PC problems can be predicted and headed off at the pass before disaster strikes. Having a complete backup of all your precious files and data is the only silver bullet security solution. It's an absolute defence against computing's most devastating gremlins. But, like a silver bullet, a complete and up-to-date backup is a rare thing. Let's be honest – few of us bother with backups, and those who do probably learned the hard way following a disastrous loss of data. So, before we go any further and explore clever PC preservation techniques, let's get one thing straight – you must back up to safeguard your files. At the basic end of the spectrum, dragging key documents onto a USB stick is good enough. At the time of writing, www.play.com was offering a 16GB USB key for £16. That's a steal, and you can store a huge number of Word and Excel documents, along with some precious photographs, in that amount of space. You might argue that writable DVDs and CDs are cheaper, but we think you should forget about them. Copying data to an optical disc can be a pain, and depending on your hardware and the media you're using, it can be slow, too. Optical discs are easily scratched, so we recommend you use external hard drives, solid-state storage solutions or an online data dump. Web-based data storage is great because it creates an off-site backup. The idea is that you select your most treasured files and upload them to a trusted remote server. If you use such a system and your house burns down, your data and backup won't be incinerated. Services such as iDrive offer 2GB of storage for free, with prices rising to $5 a month for 150GB of space. Good alternatives are Elephant Drive and Box. Your ISP may even bundle some remote backup space as part of your broadband deal. Given the UK's slow upstream broadband speeds, though, we say that it's a good idea to limit online backups to super-critical files. Finally, don't let RAID 1 lull you into a false sense of security. 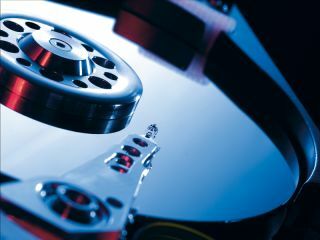 Automatically mirroring data onto another drive might appear to be the perfect solution, and it's certainly useful if your primary data is damaged. The problem is that if you delete a file on your primary drive, it'll be deleted on the mirror too – making this method no good for restoring accidentally deleted files. When you've selected your storage system, you need to decide what to use for your automated back-up procedure. Windows 7 has a built-in back-up system that's surprisingly capable. The fastest way to find the system is to type Backup into the Search box. When you're there, click 'Back up files' and follow the wizard, which will help you select backup targets, a destination (which can be a network location) and the time of automated backups. If you're looking for an alternative, try SyncBack. This is a no-frills back-up system that allows you to store backups on an FTP server, among other things. Drive imaging is often seen as the ideal way to make a backup. This stores an exact replica of your hard disk on an external device. Give it a go with definitive drive-imaging app, Norton Ghost. Don't be too seduced by the idea, though, as a whole drive image can take hours to create. You'll also find that many new PCs have a Restore partition containing a factory fresh OS image. Assuming your hard disk hasn't died, this is a very quick way of restoring Windows. Check to see if your system has one before imaging your drive.